The discount retailer Target is looking to get into the wireless business. In a recent tweet from notorious evleaks, we see details about an upcoming pre-paid MVNO from Target. 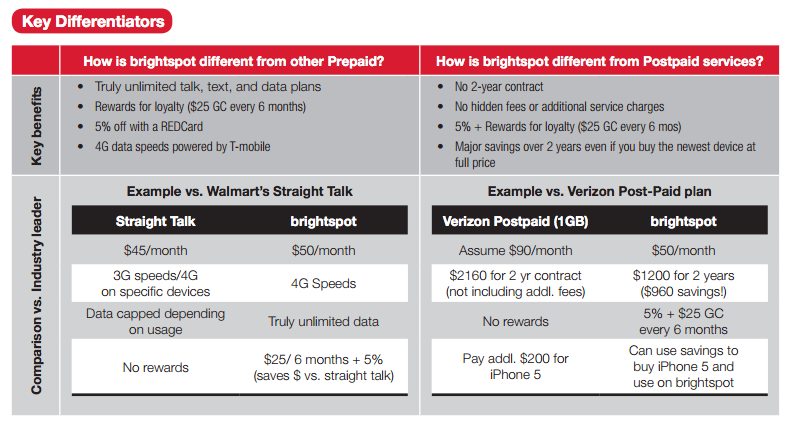 Target is partnering up with T-Mobile to introduce a new pre-paid service called Brightspot. The retailer will be using T-Mobile's 4G LTE network in order to bring wireless service to customers. The company is set to launch Brightspot on October 6, which is just a few days away. The type of service that Target is using from T-Mobile is called MVNO, which is where is a wireless communications services provider, in our case Target, that does not own the wireless network infrastructure over which the MVNO provides services to its customers. An MVNO enters into a business agreement with a mobile network operator, in this case T-Mobile, to obtain bulk access to network services at wholesale rates, then sets retail prices independently. There are three different plans that Target will introduce. The first plan will cost $35, which include unlimited calling and texting, but no mobile data. The second plan will cost $50, which includes unlimited talk, text and 1 GB of 4G LTE data. For this plan, when you're reached the 1 GB limit, you will be throttled down to slower speeds. Finally, the third plan will cost $65, which includes unlimited talk, text and 4GB of 4G LTE data. Same as the second plan, when you've reached your 4 GB limit, you will be throlled to slower speeds. All prices are per month basis. Additionally, there are a few other services that Target will offer. International texting is will cost additional $5 per month, while both calling and texting will cost $10 per month. As a bonus, Target will give its customers a $25 gift card for every six months of service. 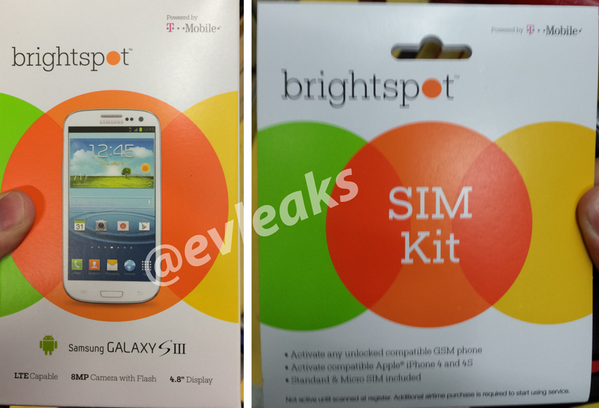 Target will also sell micro-SIM and nano-SIM Brightspot kits that work with any unlocked GSM phone. Target will also initially be offering three headsets for sale, which are Samsung Galaxy S III, LG Optimus F3, the LG Optimus F6, and Nokia 521. Of course you don't have to buy the devices from Target, you can bring your own unlock GSM phone and just plug-and-play.